Happy Halloween guys and ghouls! As you start trekking your way up and down the streets of your ‘hood or hitch a ride with the headless horseman to a haunted house, you’ll need some hauntingly good tunes to jam out to. Luckily, I’m here for you. I was a deejay for a few years after all so I know what I’m talking about (*full disclosure, I never got to actually pick the music. Except once. And I totally chose Freebird. Mostly because it’s a long song and I needed to heat up a Lean Cuisine and hit up the vending machine for a Diet Coke…but I digress…). Here’s my wickedly good Halloween Playlist to get your ghoulish groove on! You know I couldn’t make this list without a HP classic! You can’t have Halloween without this song. Its like trying to have Christmas without 24 hours of A Christmas Story. Another obligatory Halloween song. This is technically mine and Huff the Hubs “song”. Seriously. It was our first dance song. We’ve already established that Hocus Pocus is the best Halloween movie ever made. And this song–though an oldie–is still a goodie. Be safe out in the streets tonight, goblins! And don’t forget to check your candy for razor blades! Whilst on maternity leave, I probably made the greatest purchase of my life: a subscription to Netflix. Because of said purchase, I have been binge watching all the shows I’ve always wanted to watch. One of these shows is Parks and Recreation. Naturally, this episode cracked me up. But then I started thinking: What if I did Treat Yo Self Day? What would I do? 1. Eat three courses of cheesecake at The Cheesecake Factory. 2. Buy the Body Bugg heart rate monitor I’ve always wanted (so I can make sure I’ve burned of all the calories from the cheesecake). 3. Get a massage, facial, and scalp treatment. 4. Watch two movies back to back in the Warren Theater Director’s Suites and order the biggest popcorn imaginable. 5. Buy something from Sky Mall. I don’t really care what it is, honestly. I just REALLY want to buy something from Sky Mall. 6. Buy the boxed set of Frasier and watch it while drinking a milkshake. What would you do to treat yo self? OMG you guys. Get ready for today’s Try it Tuesday! It. Is. AMAZING. Seriously. Its not only delicious, its easy! According to the website, you’re supposed to start by lining the crockpot with parchment paper… we did not. The outer edges were burnt (womp, womp). Moral of the story? Always follow the directions. Moving on! Line the crockpot with parchment paper and then spray it with cooking spray. 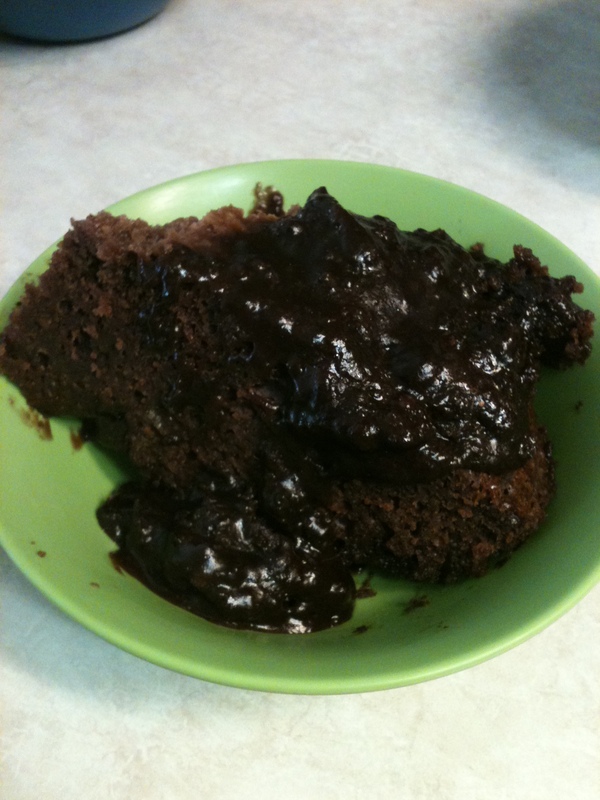 In a mixer, mix the chocolate cake mix with milk, oil and eggs. Beat on low-speed for about a minute. You can also do this by hand if you don’t want to dirty up the mixer. And, let’s face it, no one likes to clean those things. 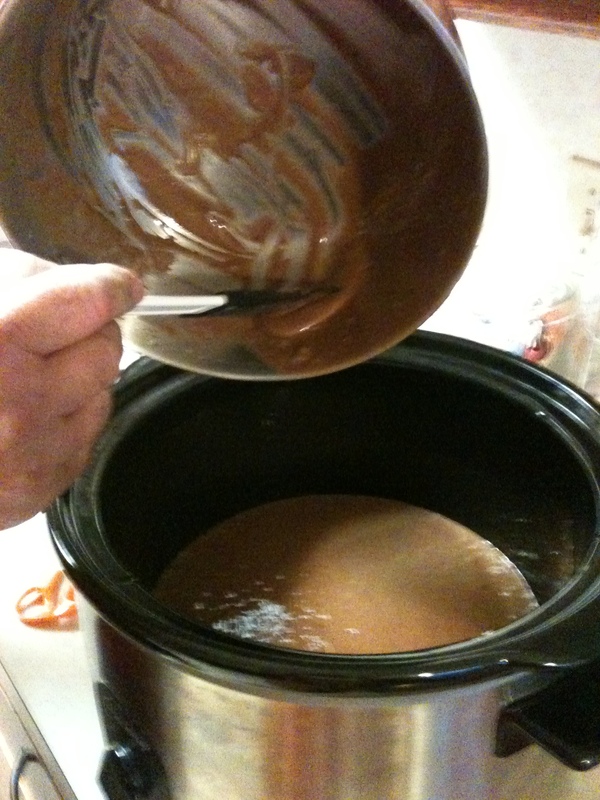 When the batter is nice and mixed, pour it into the crock pot. You have my permission to lick the bowl. 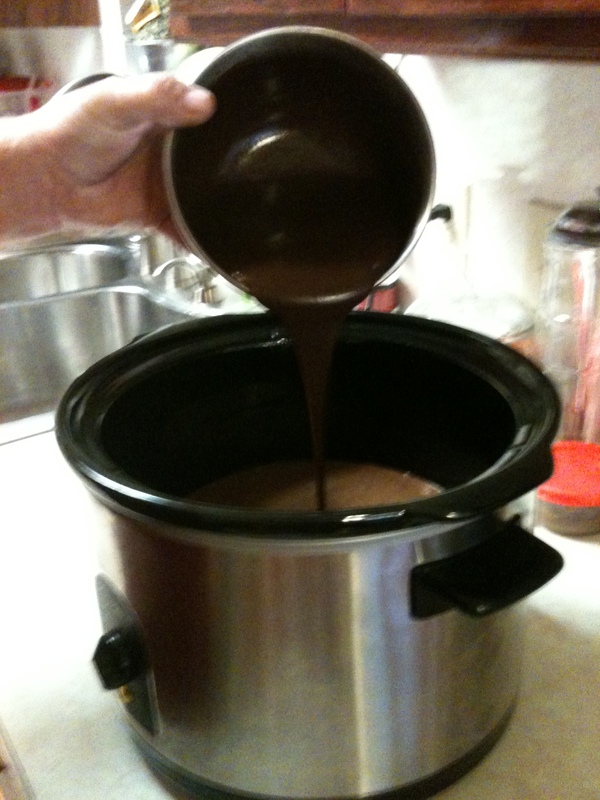 After that, mix chocolate pudding with milk and beat it until the pudding thickens. This should take about 3-4 minutes. Then, pour the pudding over the top of the cake batter. Don’t stir it. Really, cross my heart and hope to die. It will cook up best if you leave the layers be. The chocolate is never-ending with this thing. 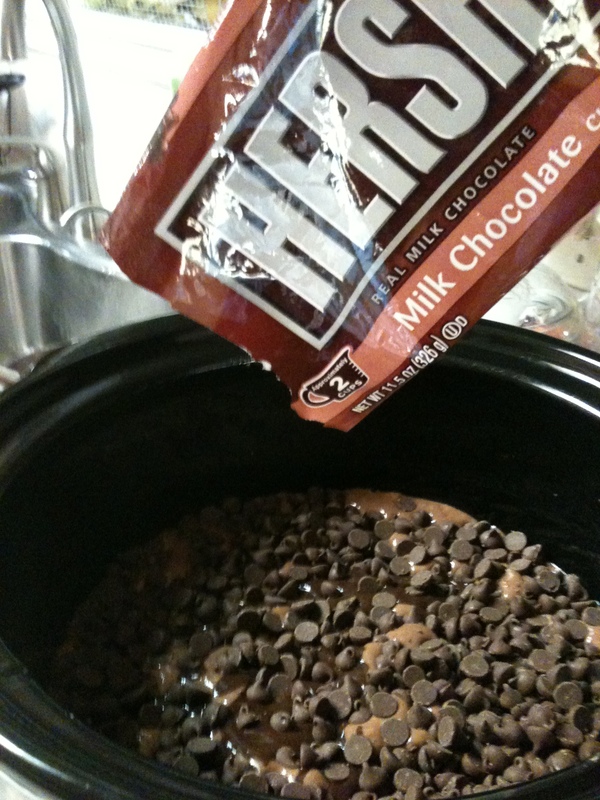 Grab your bag of milk chocolate chips and pour the pretty little things all over the top of the pudding. Again, do not stir it. Like pixie dust. Chocolate pixie dust. Then, eat the deliciousness and try not to devour the entire crockpot. You’re going to want to, but resist the temptation. You will have eater’s remorse. Or you will have no remorse and eat three helpings like I did. Er…what? No…I didn’t eat three… Okay, I did. Its THAT good, people. I used to think that people in band were nerds. After all, they played instruments and didn’t seem to have any athletic ability. That was the definition of a nerd, right? Oh how wrong I was. I remember going to my first OU Football game about four years ago and seeing The Pride do their thang at halftime. It was pouring down rain and yet they still looked and sounded AMAZING. I was so impressed with their hard work and commitment. I felt like they were working just as hard as the guys in the jerseys. Just think about it: people in band are probably up at the school/university just as much if not more than athletes. If they’re in marching band, they’re stomping around for hours out in the hot sun in the spring and summer or freezing their tails off in the fall and winter. They’ve got dedication coming out the wazoo! I tried learning to play the guitar and I could barely pluck out Twinkle, Twinkle Little Star! These people are playing many complex songs they learned like, a week ago! And they sound good! Ahhh….we finally made it through another week! Time to feast your eyes on some geeky goodies! Let’s do this thang! This first find is legen–wait for it (and I hope you’re not lactose intolerant because the next part of this word is)–dary! 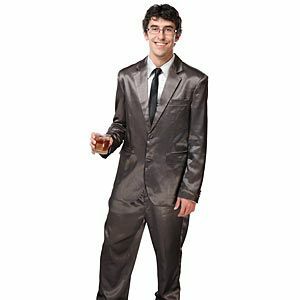 Kick off your weekend by suiting up in this amazing suitjama set from Think Geek! Sleepovers have never been so classy. Book lovers, unite! There’s FINALLY a game for us to show off our knowledge of authors, their works, and how big bibliophiles we are! 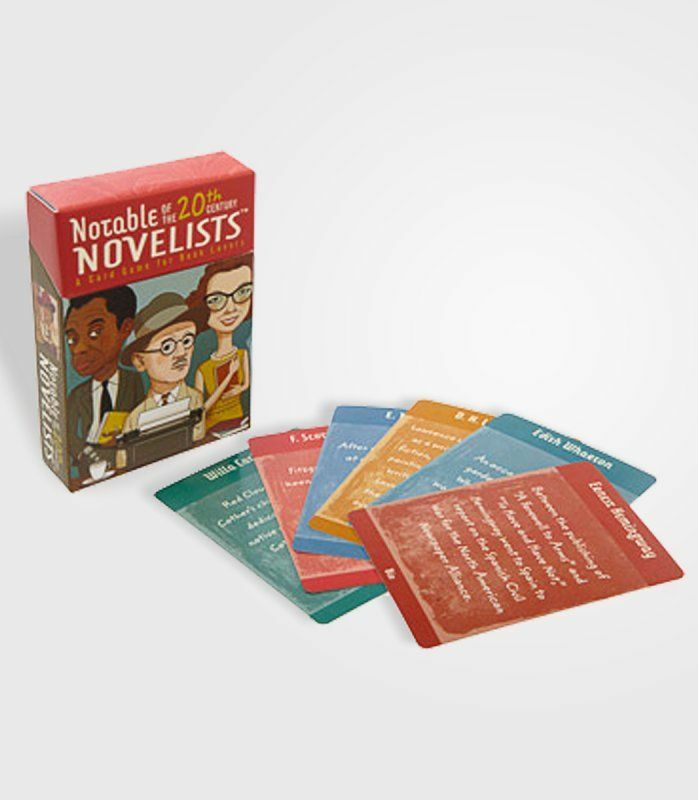 This Notable Novelists card game from Fred Flare is sure to jazz up any book club meeting! 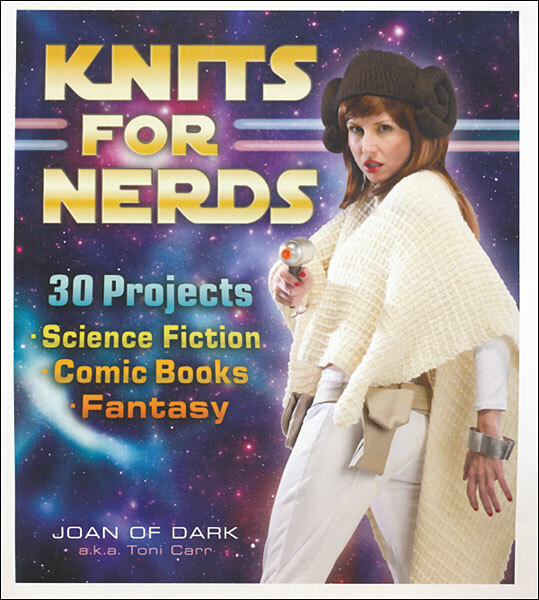 Lately, my Pinterest news feed has been flooding with knitting and crocheting patterns. Unfortunately, I have chubby fingers and zero patience, so I refrain from such activities. However, the other day whilst walking around Michael’s, I saw the most AMAZING book! I think I might have to pick up knitting! And finally, is anyone else SO excited about the new Captain America movie? Even though I hear Cap and the Black Widow totes kiss (I’m coming for you, Scar Jo; look out!) it still doesn’t hamper my nerd squeals. Check out the trailer that recently debuted online! Oh Captain… you’re so dreamy. Did you know that yesterday was National Talk Show Host Day? It was! I should’ve thrown a party, but I was too busy catching up on sleep. Apparently, all the money and fame the talk show hosts get just isn’t enough; they needed a whole day to recognize that they pretty much have the coolest jobs in the world (she said jealously). 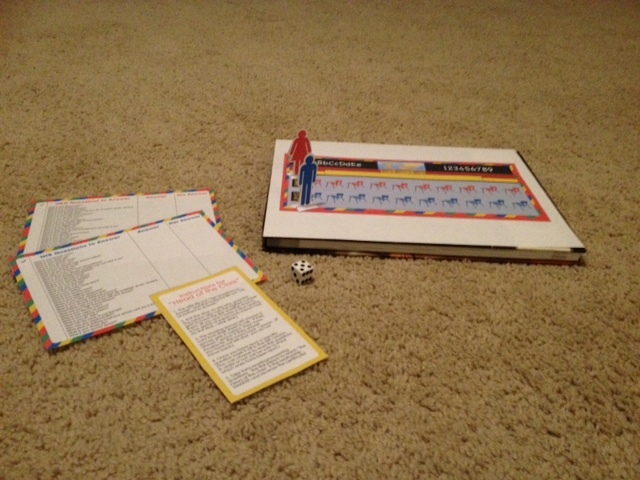 They (though I’m not 100% sure who “they” is…) picked October 23rd because its the King of Late Night–Mr. Johnny Carson’s–birthday! So in honor of National Talk Show Host Day, I wanted to share with you my favorite hosts–both daytime and night-time–as well as my favorite talk show host moments. I won’t lie; I don’t get to watch Jimmy as much as I’d like to. Mostly because it comes on late at night. Pre-baby I was in bed before 9:30 p.m. Now that Little Miss is here, I pretty much sleep whenever I can, so television is the last thing on my list. But if I were to stay up late, it’d be for Jimmy. He’s absolutely HILARIOUS. I loved him on SNL and I love him now! At least, the clips I see on Hulu/Facebook of his interviews and sketches crack me up! Like this one! And this one! Plus, he’s so cute when he talks about his new baby, Winnie Rose. These chicas are some of my favorites in the morning! They are so funny, and, I’m pretty sure they’re always plastered. They have no shame and no filter. That is why I think we’d all be BFFS. Plus, Hoda’s got great taste in music. 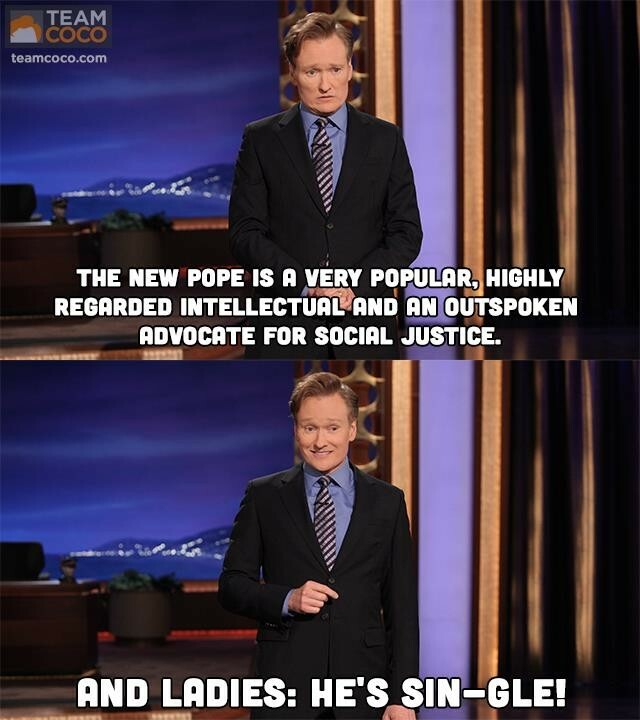 When I was in college I watched Conan ALL. THE. TIME. I kinda had a little crush on him. He’s so funny and even though he sort of looks like Ron Howard, I find him oddly attractive. Anyway, moving on… I felt bad for the guy when the whole Jay Leno retiring “scandal” happened. Even though I love Jay, I still felt a pang of sadness for my ginger when he got canned from The Tonight Show. However, through it all, Coco has still kept it funny and not lost his ability to crack me up! Remember when Tom Cruise first got with Katie Holmes? You know, before he mind-controlled her to have his babies and never smile ever again? Yeah, that was the best. And who could forget this moment when he totally when bat-crap crazy on Queen Oprah’s show? Granted, I wasn’t alive for this moment, seeing as how it happened in 1982. 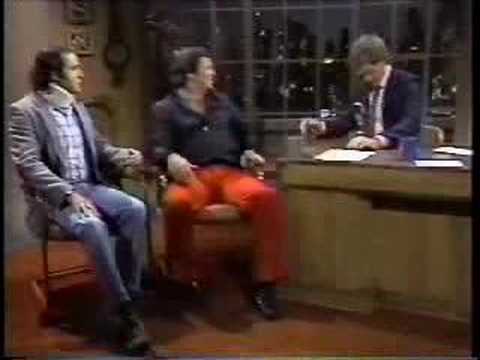 However, I have watched a lot of Andy Kaufman as Latka on Taxi when Nick at Nite was actually worth watching. But when I saw this clip, I couldn’t believe it really happened! On live TV no less! See what we miss with this new 8-second delay crap? Thanks a lot, Janet Jackson. Even though Oprah has moved on from our televisions in the afternoons, she gave us great moments. Like this one. Its probably my favorite talk show moment EVER. Oprah invited teachers to her show and then dropped a bomb: underneath some of the seats were keys to brand-new cars. What these hard working mind-molders didn’t know was that EVERY chair had a set of car keys under it. Watching this clip gives me chills each time. I’ve got such a tender spot in my heart for teachers and I LOVE that O to the Prah paid it forward. Typically I like to do Try Its that are edible or crafty. But this week, I decided to do something else. 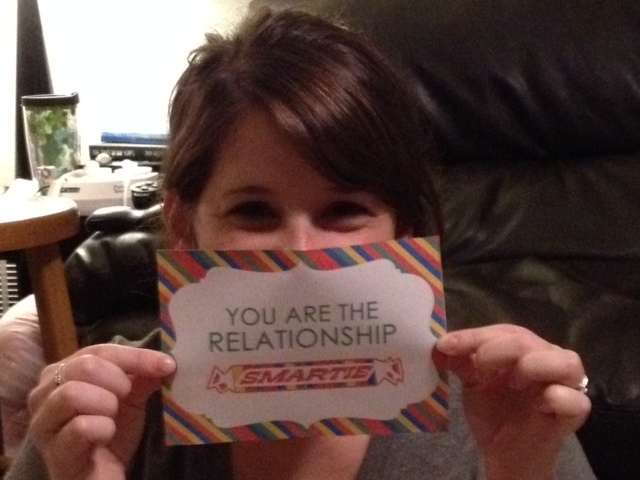 With a new baby, its tough to get alone time with your spouse. Heck, even without a new baby its tough to find time in busy schedules to spend quality time together. 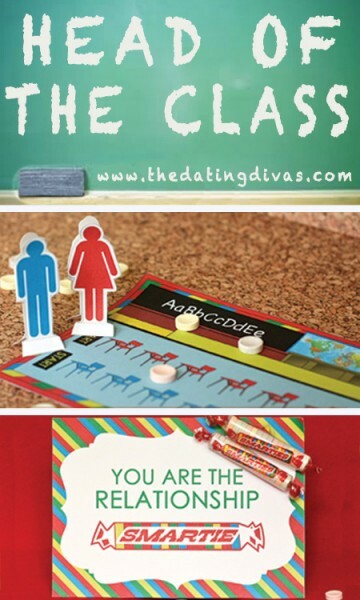 But thanks to The Dating Divas, I have found some awesome date night ideas! This weekend, Huff the Hubs and I tried one of their ideas! It was really fun and super easy! What’s your favorite color? The color of victory. After we filled in our answers, we asked each other our questions. Such as, I had to ask Huff the Hubs what my favorite dessert was. If he got it right, he moved down the board, if he got it wrong, he had to move backward. (Its cheesecake by the way). It was so much fun! We haven’t laughed so much in a such a long time! It was so cool to see who knew more about each other (and how we didn’t really know ourselves as much as we thought). There was more than one time when HtH said my guesses were better than the ones he wrote down. I guess that’s why I won! You really need to check out the Dating Divas’ website! They have so many fun ideas! 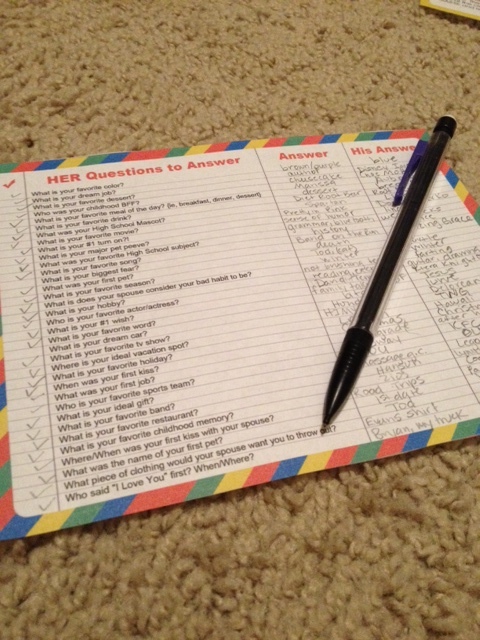 They have scavenger hunts, date nights that are out of the house, date nights in the house, and dates for every budget!